SANTA MONICA, CA — Search engines are a complex weave of algorithms and updates, which can be stressful when it comes to tackling SEO. Millionairium’s CEO and SEO expert Ali Husayni shares that in an ever-changing SEO world, a great team is everything because the game is always changing. 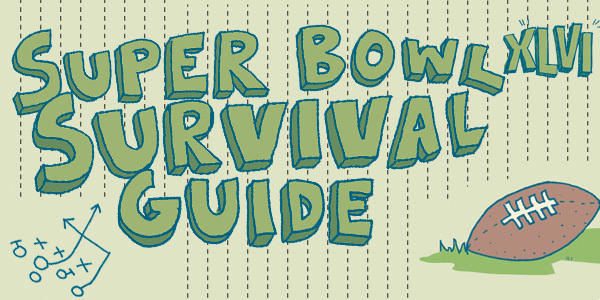 On the eve of the Super Bowl, we at Millionairium invite you to stay ahead of the game. Husayni shares a few different Super Bowl related analogies to throw around this idea: how creativity and critical analysis join forces to play a big part in any SEO strategy, and in all SEO teams. “The Super Bowl is extremely analytical. You have to know exactly who to throw it to, and at one correct speed. It’s precision that comes with a lot of practice with the team, and requires them all to be extremely smart. To win, you have to guarantee that when you throw the ball to the quarter back, it’s going to land in your teammate’s hands,” Husayni says. Husayni’s Super Bowl analogies are outlined below, and include the importance of a strong team and persistence. Every employee has a different perspective, so be sure to listen. After all, the solution to any problem often comes from a combination of ideas. It suits the Super Bowl topic well to say that when it comes to launching a successful SEO strategy, you have to be a great team player. Each individual needs to know their area of expertise on the field, and each one needs to be the best at what they do. The combination of this expertise and hard work is what’s going to make the team a winning one, according to Husayni. “Each team member we have is an expert in what they do. What they do is going to make the entire process succeed, and let the ball land with Google, with a higher search engine ranking result for our clients,” Husayni says. An accurate team is a winning team, according to Husayni. We can’t control SEO efforts entirely, because just like a football game SEO has fluctuations. You may go forward and then a little bit back. To hit a 10 yard mark, you need to be persistent and be careful not to go back a couple of yards without noticing it. Husayni explains the importance of a team effort when it comes to carrying out a touchdown of an SEO campaign. “Before the quarter back throws the ball, the rest of the team needs to protect him. While an SEO strategy is vital, if you aren’t throwing your SEO tactics out at the right speed, you can get red flagged from Google,” Husayni says. To avoid an interception from another business on Google’s search results, remember that a lot of what Google does is common sense. Google hates spamming techniques, like Black Hat SEO. So remember, while it might be tempting to duplicate content or buy links, if you just copy and paste or try to buy your way to the top without hard work, Google will take notice. Don’t risk getting flagged to save a tiny bit of time. So enjoy the game and remember—it’s all about the team.